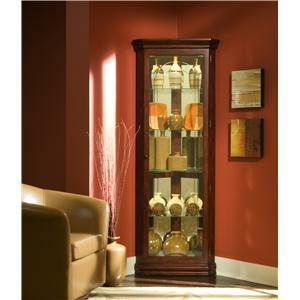 Capture the beauty of this lovely two way sliding door curio. 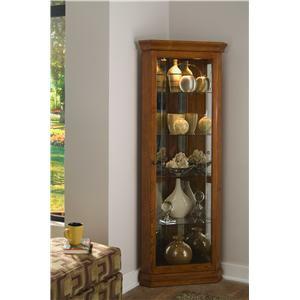 It has clean and simple lines with adjustable glass shelves. 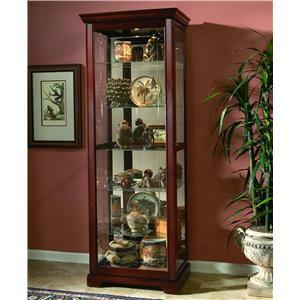 Display decorative items, collectibles or valuables behind these glass doors for everyone to see. Shown in the Golden Oak II finish. 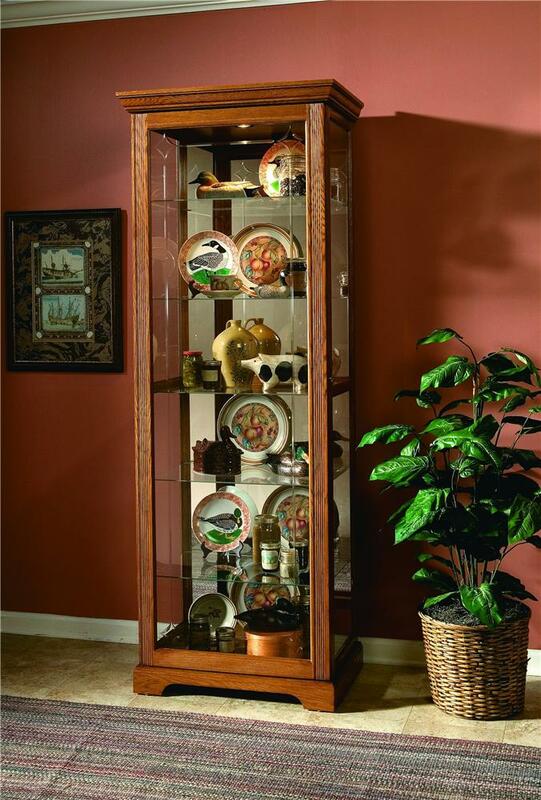 The Curios Golden Oak III Two Way Sliding Door Curio by Pulaski Furniture at John V Schultz Furniture in the Erie, Meadville, Pittsburgh, Warren, Pennsylvania area. Product availability may vary. Contact us for the most current availability on this product. The Curios collection is a great option if you are looking for furniture in the Erie, Meadville, Pittsburgh, Warren, Pennsylvania area. Browse other items in the Curios collection from John V Schultz Furniture in the Erie, Meadville, Pittsburgh, Warren, Pennsylvania area.